Today you can find a smartphone or tablet app for just about anything. We are finding that brides and grooms are using apps to help them with wedding planning from picking colour palettes to orgainising the guest list. 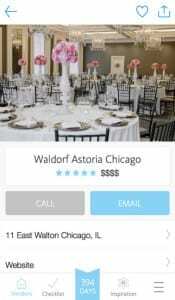 I was asked the other day if I knew of any good apps for wedding planning, I decided to do a little research to find what was out there. Appy Couple is a stylish way to showcase and share your wedding. Give your guests the information they need, event times to dress code, RSVPs, meet the wedding party and see your pictures (even add their own). 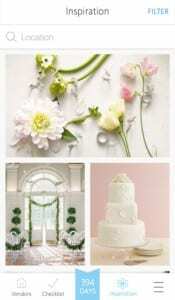 Get everyone involved in creating your ultimate wedding keepsake. The interface design is really lovely with a heaps of options to personalise it. The functions are simple to setup and the navigation is straight forward. Only downside is that the page load time is a little slow and would be better if you could invite friends via Facebook. Wedding Party is a great way to share your wedding event schedule, wedding registry and accommodation details; keep track of the dates with a wedding countdown; and organise all of your photos into albums for all the wedding events (Engagement party, bridal shower, bachelor party, hen party, wedding ceremony, reception and honeymoon). Another good looking app. The integration between the website and app is well designed. 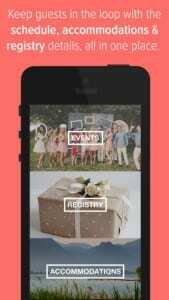 This is a great app to get friends and family involved in the wedding, fun and easy. Only downside was that you couldn’t upload multiple photos at one time. The Knot is personal Wedding Planner, newly-designed, with a modern makeover. You can access and input your wedding planning details anytime, anywhere, for FREE! The best part? Heaps of inspiration which can be filtered by category, fantastic checklist and easy to use budget tool. This is a really great tool, the only downside is that the vendor section (accommodation, photograhpers etc. is only designed for use in the USA. 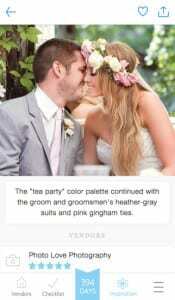 In part II of this series I will review Wedding Apps for cataloging ideas and inspirations such as Pinterest.